In last week’s meal plan I mentioned that I wanted to try cabbage rolls. Grain-free and sugar-free of course, to make them paleo and Whole30 compliant. Honestly though, I don’t know what I was thinking, planning this for a weekday meal. While they turned out great, this is not the sort of thing you just whip up for dinner. I had no idea these would be so labour-intensive. Luckily they were delicious, but these will be strictly weekend only from now on. The first step is to get the cabbage leaves off the cabbage without ripping them. I boiled the entire cabbage in a large pot for a few minutes and used tongs to carefully peel of the leaves one by one. If you plan in advance, you can also freeze then defrost the head of cabbage. When it’s defrosted the leaves should peel off easily. Once the leaves are off, use a paring knife to slice off the tough rib that runs down the middle of the outside of the leaf. Next I started on the filling. I pulsed some cauliflower in my food processor until it was the size and texture of rice or cous cous. I sauteed some onion, garlic, and cauliflower, then transferred it to my big mixing bowl to cool. While I was waiting for the mix to cool I made the sauce. I sauteed some more onion and garlic in coconut oil, then mixed in a tin of crushed tomatoes, apple cider vinegar, salt and pepper, and the secret ingredient: coconut milk. Once the sauce was ready, I set it aside to finish up the filling. Once the onion and cauliflower mix was cool, I added the ground beef, eggs, and seasonings and mixed it up with my hands. Then I rolled the filling into each cabbage leaf, rib side down, like a burrito. After boiling, the leaves were soft and pliable and easy to roll. Fold the sides in about halfway down the leaf, then finish rolling. I trimmed a little bit of the edges and the end of the leaf to clean it up. I used as much of the cabbage as I could so I didn’t end up with perfectly even rolls, but that’s okay. 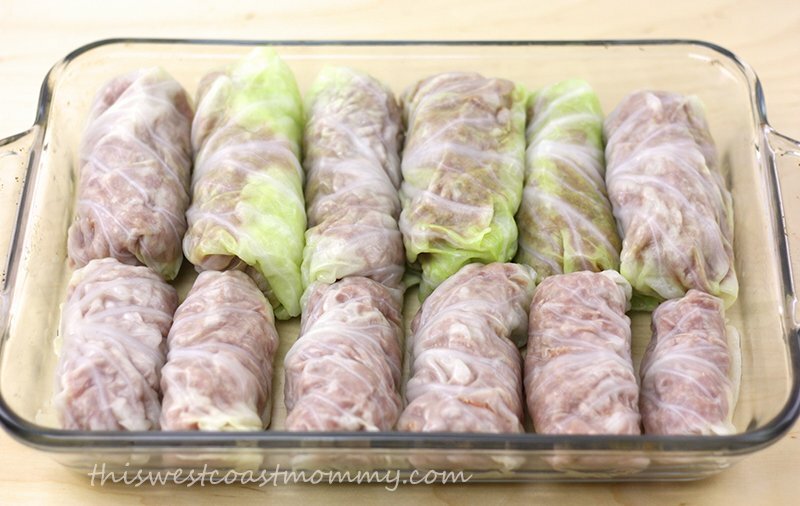 The inner, smaller white leaves are the most tender, and they made baby cabbage rolls perfect for the kids. I spooned a thin layer of sauce on the bottom of my baking dish and arranged the rolls. Then I poured the rest of the sauce on top and baked at 350 for about two hours. 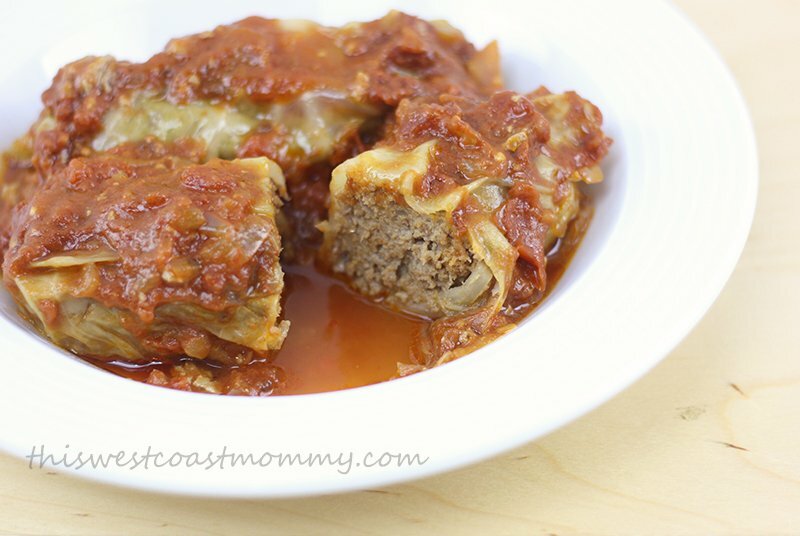 When I took the cabbage rolls out, the sauce had separated a bit, but a quick stir made a nice chunky tomato sauce that paired perfectly with these grain-free cabbage rolls. Boil whole cabbage in large pot for 2 minutes. Using tongs, peel individual leaves being careful not to tear them. Set leaves aside to dry. In a large skillet, heat coconut oil over medium heat. Once hot, sautee onion and minced garlic until onion is soft and just starting to colour. Add riced cauliflower and stir fry for 4-5 minutes and cauliflower is soft. Transfer contents of skillet into a large mixing bowl and allow to cool for a few minutes. Add ground beef, eggs, and spices and mix well with clean hands. Add more coconut oil to skillet and sautee onion and minced garlic again. Once soft, add crushed tomatoes, coconut milk, vinegar, salt, and pepper. Mix thoroughly. Spoon a thin layer of sauce to the bottom of a large baking dish. Pat dry any remaining moisture on cabbage leaves. Lay each leaf, rib side down, and spoon about a quarter to a third of a cup of filling into the leaf. Form a cylinder at the bottom edge of the leaf and roll the meat into the leaf, like a burrito. Fold in edges half way down the length of the leaf and continue rolling. Lay each roll, seam side down, in the baking dish. Pour remaining sauce over cabbage rolls and cook in oven for about two hours. I love, love, love cabbage rolls. You have me drooling! Lol, they were pretty good! I’m definitely interested in trying these out! Not to mention my mom loves cabbage. Thanks for sharing at DDT. Thanks! I don’t usually like cabbage, but with yummy filling, it’s all good! I’m not a huge fan of cabbage, but I think I’d like these! Hubby might, too! Normally I’m not either, but it doesn’t really taste like cabbage, you know? These were yummy. I’m curious, I’ve got to try them! I never would have thought to make cabbage rolls without the rice! I like cabbage rolls, but rarely make them b/c of the work involved. You are right–better to plan as a weekend meal! I like your mix of cauliflower and ground beef. I’ve never seen that done before. Thanks for linking up with See Ya in the Gumbo, Olivia! I’ve never made cabbage rolls but I’m sure I’d love them because they have everything I love. I generally lean toward quicker meals, but I do enjoy an occasional labor intensive meal when it’s something really amazing (makes me feel more “professional” if it takes a long time. I’m crazy, I know). Haha! Anyway, Thank you so much for linking up with us at Delicious Dish Tuesday!! Have a wonderful week! U.S. Wellness Meats had a recipe for unstuffed cabbage rolls in their December 2014 newsletter. You basically treat the cabbage roll ingredients as a stir fry. 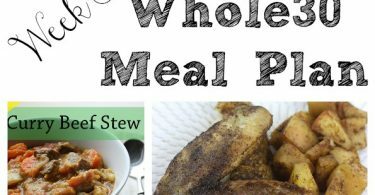 Delicious and fast enough for weeknights! These look so hearty and flavorful. I can’t wait to try making them! 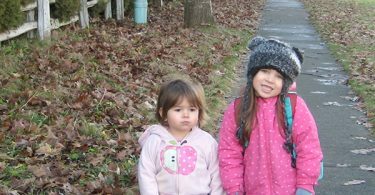 Thanks for linking up the recipe to the This Is How We Roll Thursday link party. I’ve never been a great fan of cabbage rolls but your recipe is a new twist on it. I’ve enjoyed using grated cauliflower in other recipes so I am quite keen to try your cabbage roll recipe! Thank you! They look so delicious. Haven’t had stuffed cabbage in a long time. Thanks for sharing. I guess I’m going to make these now. :). My daughter is going to love this. 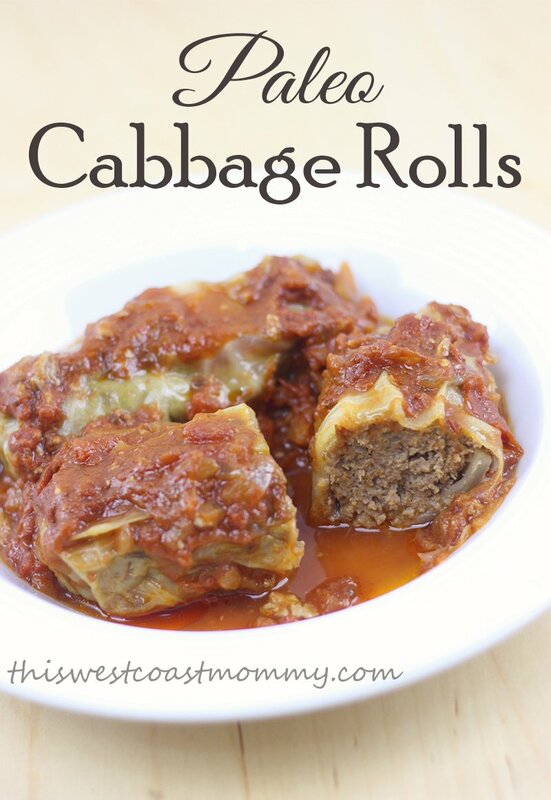 I love cabbage rolls but haven’t had them in forever.Those look delicious! Love the recipe, but can’t find mentin of the vinegar or eggs in the recipe, only the ingredients list? Eep! Sorry about that. You add the eggs with the beef, and the vinegar with the rest of the sauce ingredients. I’ve updated the recipe to fix that. Thanks for letting me know! Vinegar is in the tomato sauce and egg it n n the meat & cauliflower mixture. This sounds like a great recipe and good comfort food. Hi Olivia, I want to try this as I am doing my second whole30 soon. I don’t eat meat though, I do eat seafood. Wondering what a good substitution might be for the meat? Somebody mentioned mushrooms? Hmm, that’s a hard one! Most ground beef substitutions are in the soy, bean, or grain family, all of which are of course off the menu during a Whole30. The only thing I can think of would be portobello mushrooms like you suggested. Or maybe just minced veggies, sort of like a cabbage-spring roll? I don’t see any reason you couldn’t stuff these with whatever filling sounds good. I’d love to hear back if you find a substitute that works! How many servings is this res for? Sorry, Delinah. I just saw your comment now. This recipe made the 12 full size cabbage rolls you see in the recipe, plus 5 or 6 smaller ones (as the cabbage leaves get smaller). With some sweet potatoes and/or roasted veggies on the side, I was able to feed my family of four twice over with this. 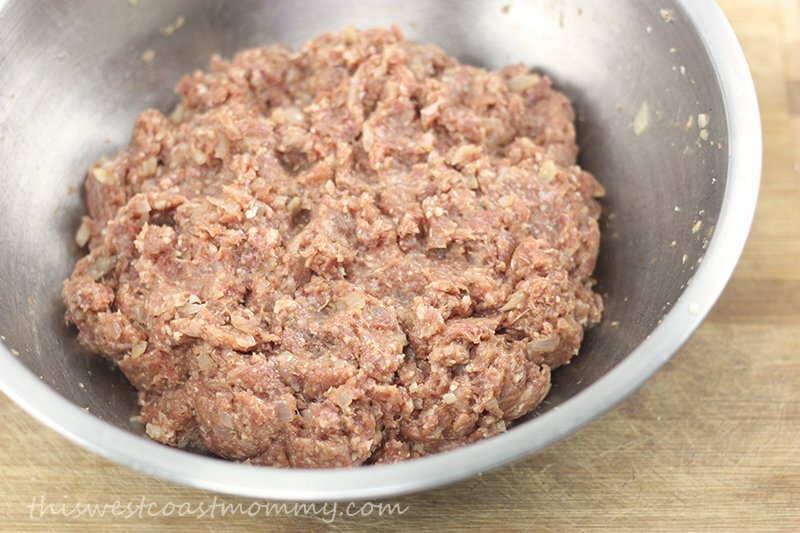 Hi, this may be a silly question… but do you cook the ground beef before adding it to the other ingredients? Or does it cook while in the oven from raw? Hi Rachel, yes the meat is raw when you mix it up and roll it in the cabbage leaves. It will cook in the oven. I make these, but unstuffed. All in one skillet. Just cut up the cabbage and simmer all together, way less time and still just as yummy! Good idea! I think I’ll try that for a weeknight version. Great recipe, I made mine with ground turkey and they only had to cook about an hour. I love the cauliflower instead of rice! Thank-you so much for this recipe. I found it on Pinterest and made it tonight for dinner. My Polish food loving husband declared them amazing! He also wants to bring leftovers for lunch which is a HUGE compliment, because he NEVER eats leftovers. Thanks again! I have yet to be brave enough to make my own cabbage rolls. I do love them though! Venison cabbage rolls sound really tasty! I love cabbage rolls!!!! Yummy!!! eggs? how many? when? the recipe ingred list does not mention egges!!! Please help! Making now!!! It says 2 eggs in the ingredients list, just underneath the ground beef. You add it to the beef and cauliflower mixture. I hope you were able to find the info in time! Do cabbage rolls freeze well? We’ve always eaten the whole batch, but I don’t see any reason why you couldn’t freeze them. I’d probably reduce the baking time 15 minutes so when you defrost and warm up the cabbage rolls they don’t overcook and get soggy. I bought a jar of pickled cabbage leaves at an Armenian market and stumbled upon this recipe looking for something paleo to stuff them with. I omitted the ACL since the leaves were already pickled, and it came out perfect. The 2 hours in the oven made the flavors of the sauce robust and the tops of the rolls were nicely browned. I’m definitely saving this recipe to make again. Thanks! Can you please tell me what type of coconut milk? Is it the coconut milk in the can? Hi Dora, any coconut milk is fine. I’ve used coconut milk in a can and in the carton before. Full fat will give you the most flavour. Can you tell me the reasoning behind using coconut milk in the sauce? Does it cut the acidity of the tomatoes? Thickens the sauce? Just curious. Many thanks! Hi Lil, The coconut milk mellows the tomatoes and adds a bit of sweetness and creaminess to the sauce that I really like. I think you could safely leave it out if you preferred. Hi! These look great! Do you think they would work in an electric pressure cooker? Wondering how long you would cook them for? Sorry for the late reply, Elizabeth. I’ve never used an electric pressure cooker so I really couldn’t say, but if you gave it a try I’d love to hear how it went! This was a great dish for a rare stormy west coast night! Unfortunately the tops of our rolls burnt, so maybe we’ll move the baking dish to the lower rack next time (there WILL be a next time for this recipe! ), or partially cover with foil, to avoid burning. Not sure how you fed your family of four twice — we fed three of us, with just a few left over for lunch tomorrow! Mmm, mmm, good! Glad you liked them, burnt tops and all! I’m sure moving them down would take care of that. I’ve never needed to use foil. Snowy day here so I decided to make these. Wow. Absolutely delicious and surprisingly hearty. I used ground turkey rather than beef and I added some sundried tomatoes and flax seeds to the meat mixture. I’m always looking for ways to sneak in flax seeds and it worked well here. I cheated a little and bought riced cauliflower rather than making my own and I’m glad I did because the recipe didn’t feel all that labor intensive to me. It’s certainly not the sort of thing you want to come home from work and put together, but I can see myself working this into my weekly meal prep rotation. Thanks so much for sharing this! Glad you liked it! I didn’t know you could buy riced cauliflower – I’ll be looking for that on my next shopping trip! These sound wonderful. I have never made them from start to finish and would love to give them a try one of these days. I enjoy cabbage rolls in general so I think making them would be pretty great. Can olive oil be used in place of coconut oil? Sure! Shouldn’t be a problem. So I’ve made the filing and the sauce, but am stuffing it into peppers. Do you think the 2 hour cooking time would still apply? Best cabbage rolls I have had. I usually buy the frozwn ones but these are way better. I didnt even use the coconut milk. I’d love to give this version a try, sounds/looks pretty tasty! I need to try it this way, we love cabbage rolls, but my husband hates the rice, so if I used the cauliflower instead he might just like them even better!! Ooh that looks so good! I love cabbage rolls but not always making them lol. Your recipe is one I will have to try. Do you think these would freeze alright? I don’t see any reason why you couldn’t freeze them. I’d probably reduce the baking time 15 minutes so when you defrost and warm up the cabbage rolls they don’t overcook and get soggy. Oh my goodness! This is so awesome I cannot wait to ask my husband to try it! I have made your recipe multiple times now. These cabbage rolls are so good. I take all the leftovers myself for lunch! Here’s a trick I learned from my grandma. 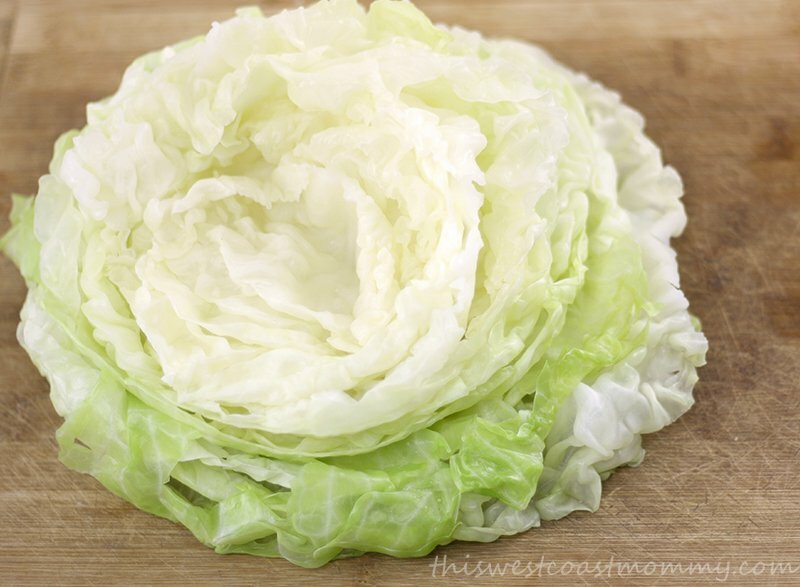 Wet the cabbage head, shake off, put it in a bag and throw it into the freezer. When you want to make cabbage rolls, thaw and the leaves come right apart. No ripping or tearing. I always have one in my freezer for when I’m feeling like cabbage rolls! Love the use of cauliflower rice in this recipe. These cabbage rolls look delicious. I have never made these but I would love to do so. Thank you for sharing this yummy casserole dish.